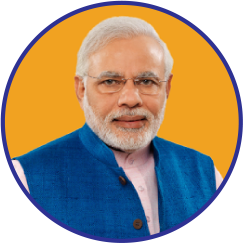 Narendra Modi said the substance of India’s strategic partnership covers economic, security, and socio-culture. Abe expressed Japan's desire to further strengthen co-operation with India in counter-terrorism. PM Modi said both the countries have a win-win partnership. Modi suggested evolving specific plans for cooperation with the 10-member grouping in key areas of maritime security, counter-piracy and humanitarian and disaster relief. Dr Subra receives Narendra Modi! “Malaysia-Singapore visit to strengthen economic and security ties” – Modi shares his views! Narendra Modi debuts on Instagram, uploads ASEAN Summit picture; crosses 70,000 followers in less than a day! Modi debuts on Instagram, uploads ASEAN Summit picture; 70,000+ followers in less than a day!